The fabled King David Jerusalem Hotel is an unquestionably significant landmark in a unique and diverse city. A destination in itself, the hotel was built in the 1920s at the meeting point of the historic Old City and a dynamic New Jerusalem. 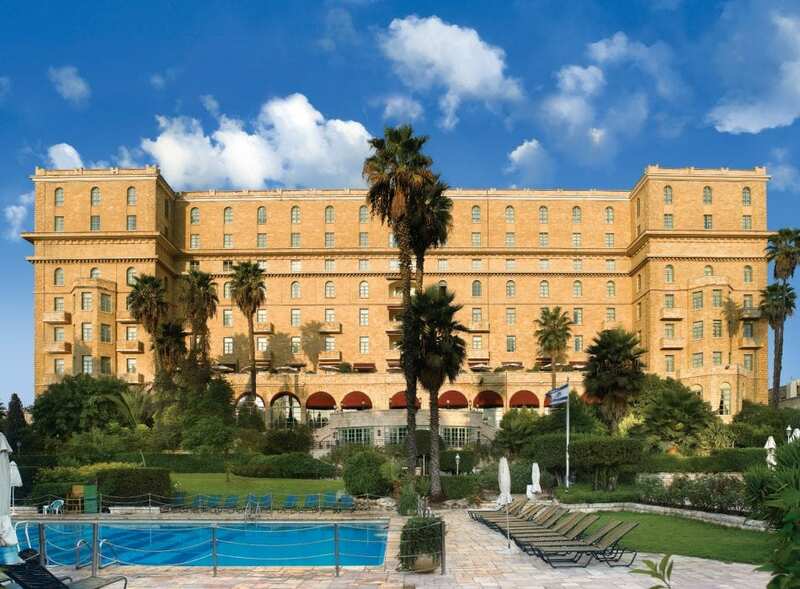 As Jerusalem’s official venue for banquets and state occasions, the King David Jerusalem Hotel is a delight to the eye, boasting stately pink quartz exteriors, and magnificently exotic public rooms where kings, politicians and celebrities regularly mingle. Guests enjoy a serene vibe and an ambiance of harmonious elegance and luxury in any one of around 240 rooms at the King David Jerusalem Hotel, whose attractions include also spacious private gardens encompassing green lawns, a tennis court, fitness center, adult and children swimming pools, surrounded by immaculate landscaped gardens and pine trees, as well as a children’s playground, quiet corners for relaxation. One enthusiastic guest on TripAdvisor summed up their experience at the King David Jerusalem Hotel as “part hotel, part historical site, part museum, part art gallery and part movie stage… the personal service right out of a Humphrey Bogart movie.” Well, in the movie “Casablanca, Bogart may have gone to all the gin joints in all the towns in all the world, but after enjoying an endless number of fascinating places to see, he may have headed back to enjoy a gin and tonic at the King David’s new Oriental Bar. There are six restaurant/bars in the King David Jerusalem hotel ranging from fine dining at La Regence to terrace dining at King Garden’s Restaurant to poolside snacks, kosher gourmet options at Gabriel, and Moroccan hospitality at Darna. Superbly located on an elevated site, the King David Jerusalem Hotel offers incomparable views of the walls, the minarets and the domes of the endlessly fascinating Old City that invites you to explore a medley of cultures, famous holy sites of the three monotheistic faiths dating back thousands of years. In the Jewish Quarter, you can visit the Western Wall, considered one of the holiest places in the Jewish religion. The Muslim Quarter houses the Al-Aqsa Mosque and the Dome of the Rock that are sacred to the Muslim faith. In the Christian and Armenian Quarters are important landmarks and churches such as the Church of the Holy Sepulchre that are sacred to Christians of all denominations. Whether you are interested in religion, architecture, history or just the food, strolling through the Old City’s narrow streets and alleys is one of the most remarkable experiences in Israel and its sights and sounds of the Old City are like no other and leave a lasting impression. Jerusalem also offers a multitude of modern sights and sounds to experience. The annual Jerusalem Arts Festival presents more than 30 plays, dance shows and concerts by professional and semi-professional artists during one week in spring at many of the city’s major concert halls and theaters, including the Jerusalem Theater, Israel’s largest and most active culture center and just a 15 minute walk from the King David Jerusalem Hotel. 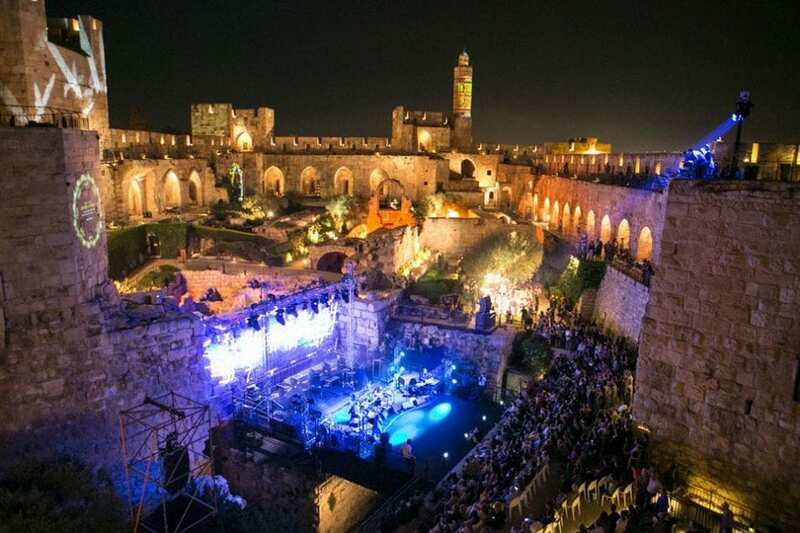 Those who have visited Jerusalem in the summer revel in the illuminating Festival of Light, a free dynamic display combining light and music to entertain visitors with shows displayed on the walls of the city’s ancient buildings. Also in the summer is the Jerusalem International Film Festival (JIFF), which began in 1984. Having matured and grown in popularity, JIFF regularly screens between 150 and 200 films showcasing the world’s finest contemporary cinema to a local and international audience. Movie fans visiting Jerusalem can also visit the Stephen Spielberg Jewish Film Archive, founded in the late 1960s, and situated in the Hebrew University of Jerusalem. The archive stores over 18,000 titles from different periods of history, from the time of the Ottoman Empire to the present day and is a fascinating stop for visiting movie fans who want to learn more. The Jerusalem International Book Fair is the premiere Jerusalem event for fans of literature of all kinds. The biennial fair itself serves up hundreds of latest international and Israeli titles, as well as hundreds of cultural events and lectures by major authors and other figures from the publishing world. 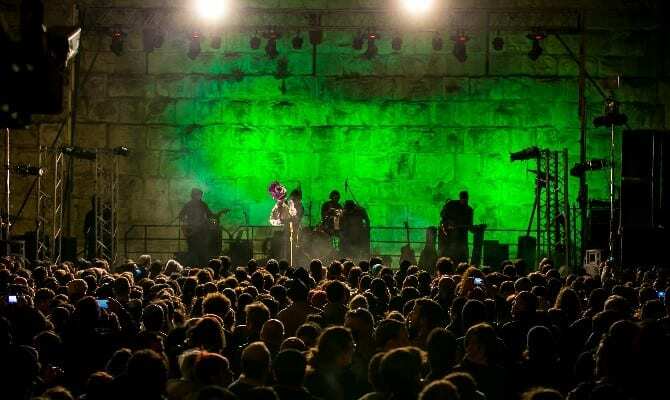 One of the most oldest and famous festivals in Jerusalem, the Israel Festival is an annual three-week event also in the spring, setting professional performances by modern Israeli and international artists against a backdrop of Jerusalem’s unique locations, creating a thoroughly unique experience. In 2017, the festival’s 56th year, the spotlight is on Jerusalem’s homegrown talent with many of the performers being personally connected to the host city. The offering of outstanding theatre performances, contemporary dance, classical music and performances from around the world, together with groundbreaking Israeli shows pulls in more than 35,000 people and is one of the city’s most valuable gems in its cultural crown. It is particularly key to empowering community, driving education and positioning Jerusalem as a modern, dynamic and global cultural destination. Like the Israeli Festival and other world class events here, The King David Jerusalem Hotel is a destination in its own right and routinely recognized as such, winning a host of industry accolades. It holds a special and unique position on an exclusive list by the Leading Hotels of the World, Ltd., which represents the world’s finest hotels and resorts. Membership on this list requires hotels to meet the most precise standards with respect to accommodation, customer service, cuisine, employee behavior and hotel facilities.